Where do we go from here? Chaos or community?. Where are we now? Lord, girl, theres only 2 or 3 things I know for sure. She put her head back, grinned. 1 Where do we go from here? 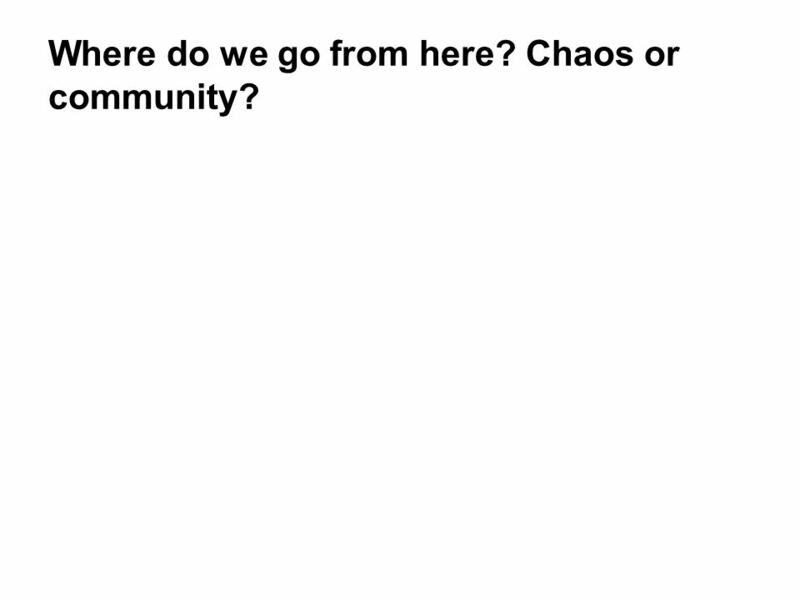 Chaos or community? 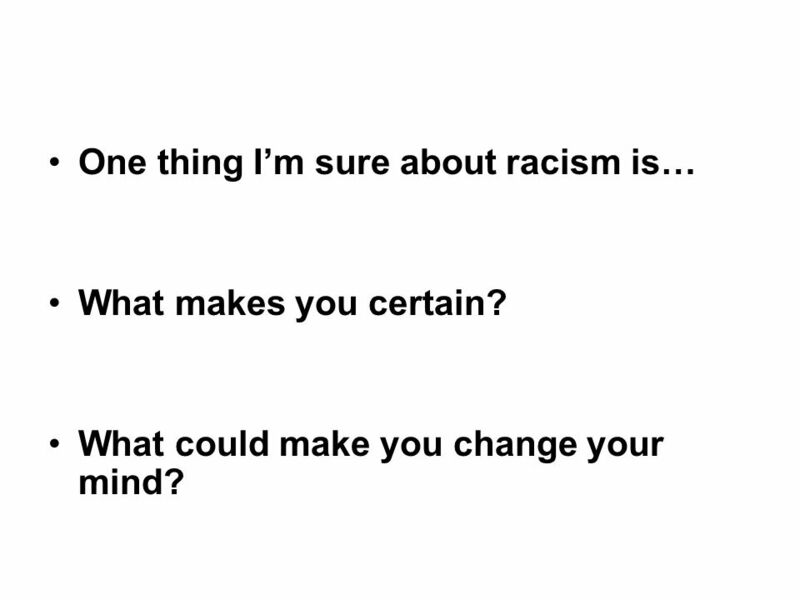 3 One thing Im sure about racism is… What makes you certain? What could make you change your mind? 4 Why are people poor? 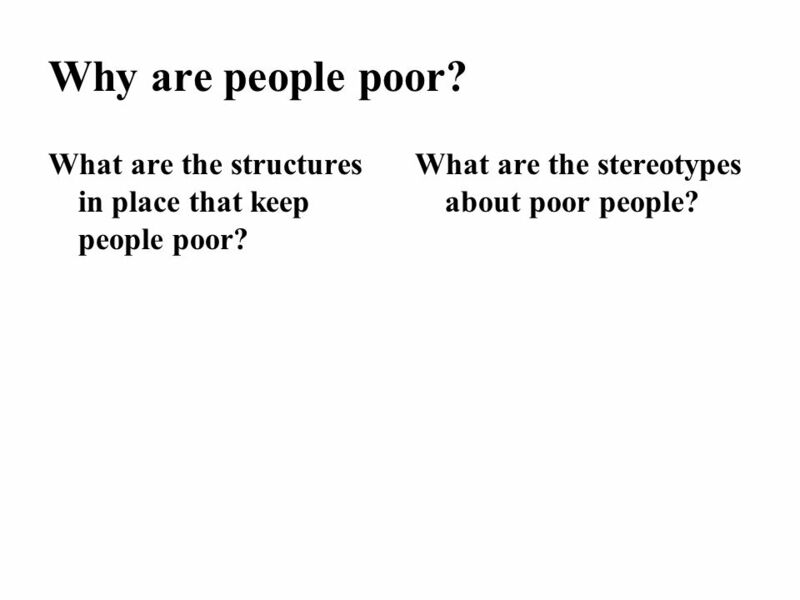 What are the structures in place that keep people poor? What are the stereotypes about poor people? 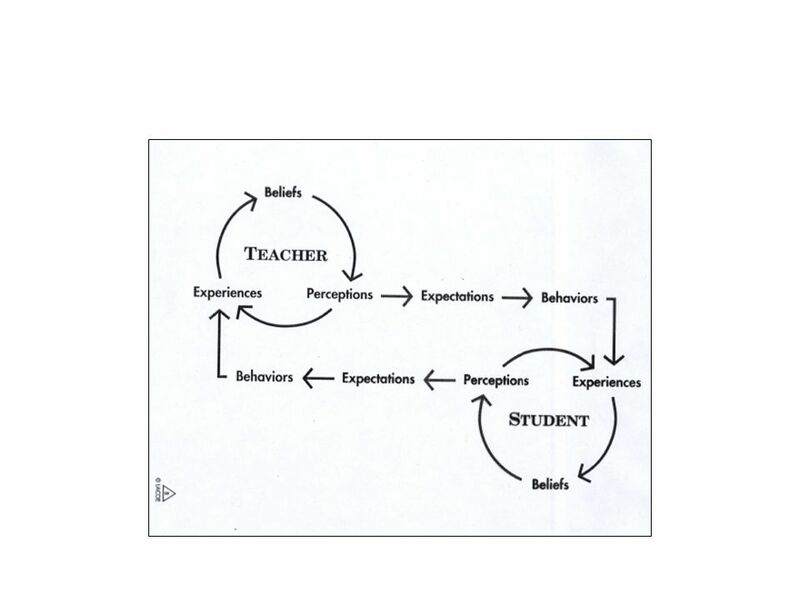 5 Why do schools fail? 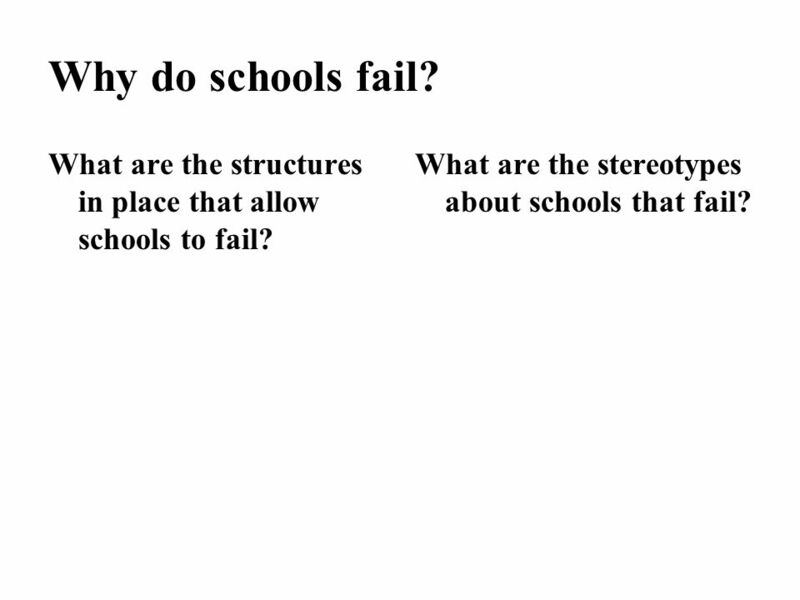 What are the structures in place that allow schools to fail? What are the stereotypes about schools that fail? 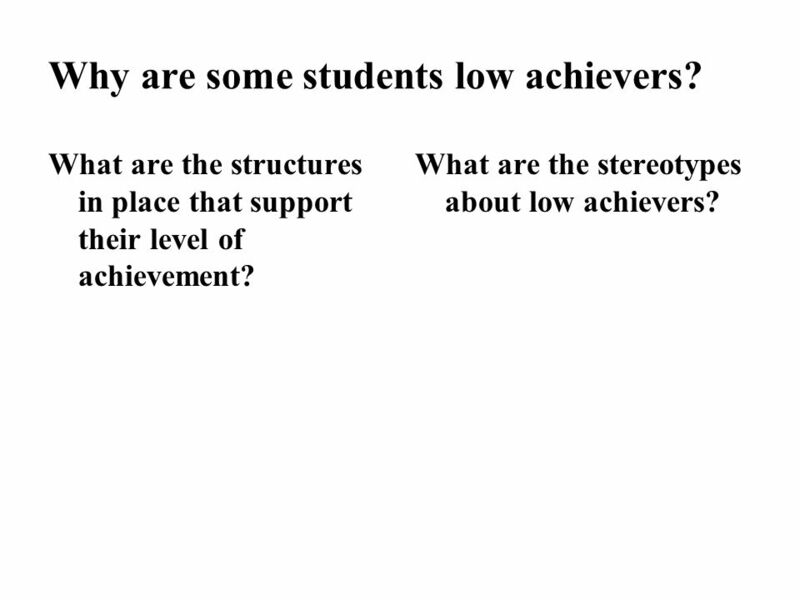 6 Why are some students low achievers? What are the structures in place that support their level of achievement? What are the stereotypes about low achievers? 10 Where do we go from here? Chaos or community? 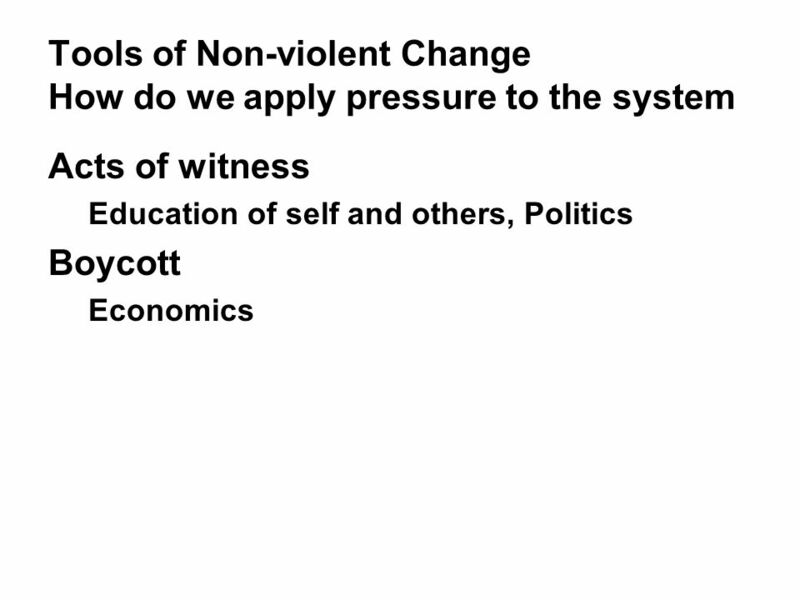 Download ppt "Where do we go from here? 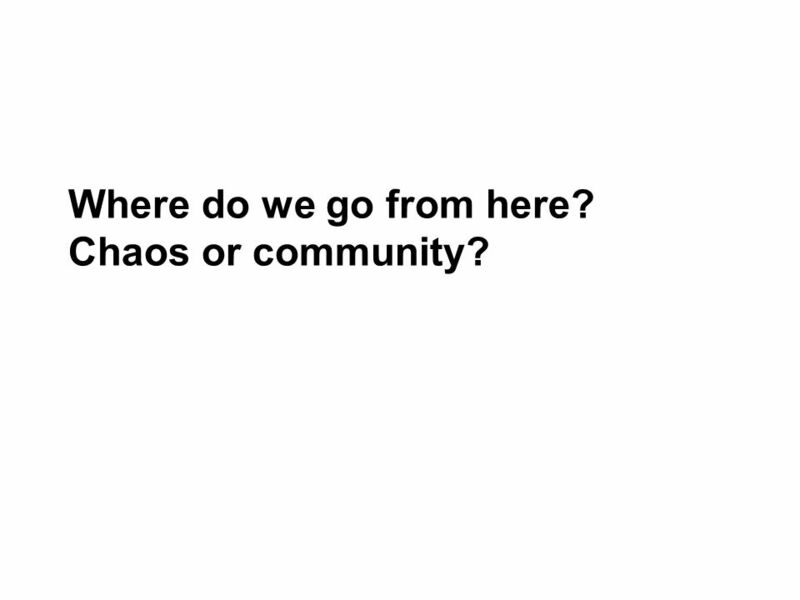 Chaos or community?. Where are we now? 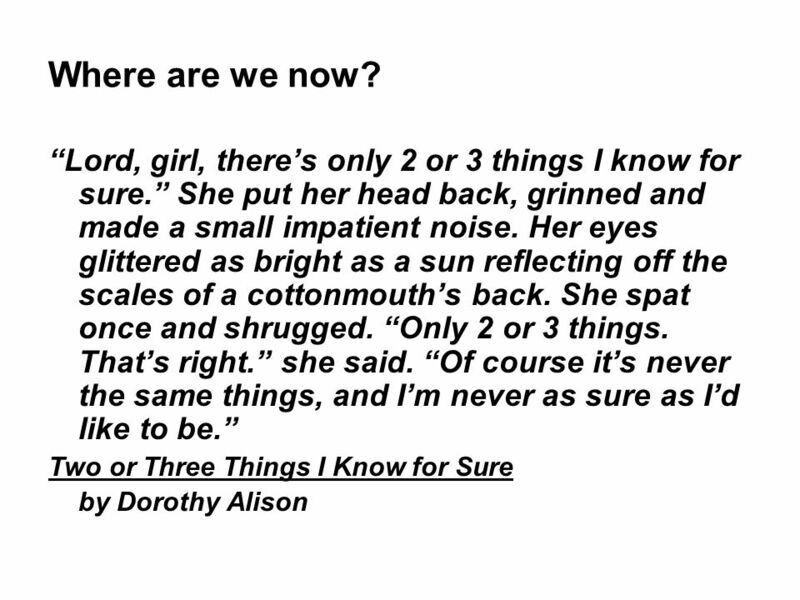 Lord, girl, theres only 2 or 3 things I know for sure. She put her head back, grinned." 1 Language Types We ’ re going to look at two types of language: figurative language and literal language Objective: Use figurative language in writing. A poetry Cowboy buying a bra... noted by Margitta. Towards a Global Ethic Dylan Newman. 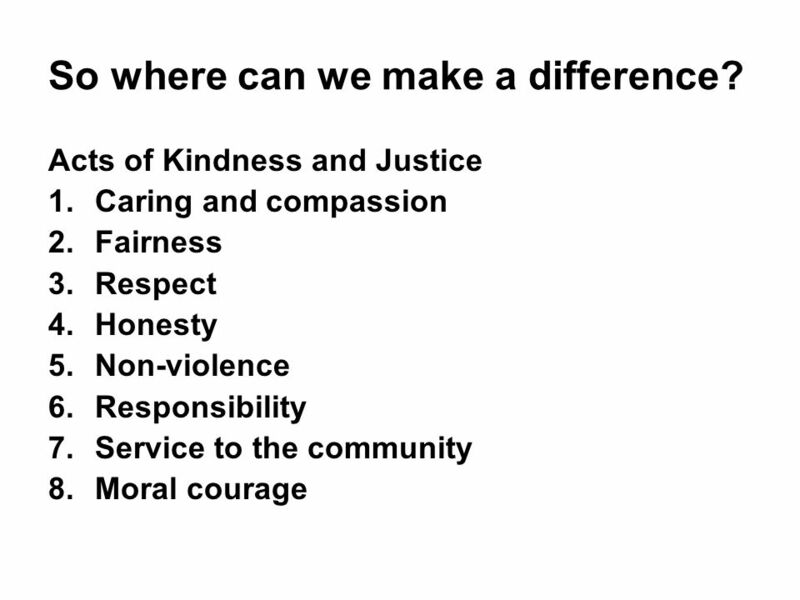 We are Interdependent Each of us depends on the well-being of the whole, so we have respect for the community of. Bioethics What’s in a question?. What is “ethics”? Ethics: “the rules of conduct recognized in respect to a particular class of human actions of a particular. Monday. “Would you tell me please which way I ought to walk from here?” That depends a good deal on here you want to get to,” said the Cat. “I don’t care. First Grade High Frequency Words!. Review Week 1. THE LEARNING KIND o Be positive about learning o Do more work than asked o Work well in class o Ask good questions o Do good research o Recognise your. THE COOLEST HALLOWEEN BY Lindsey. Last night I was trick-or-treating, I stumbled over a broom. I did not realize it at the time, but it turned out it.